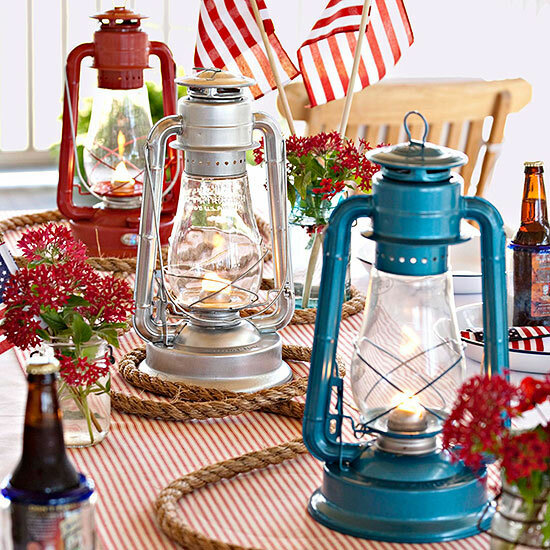 Dress up your home in the spirit of Independence Day with these easy red, white, and blue 4th of July decorations. 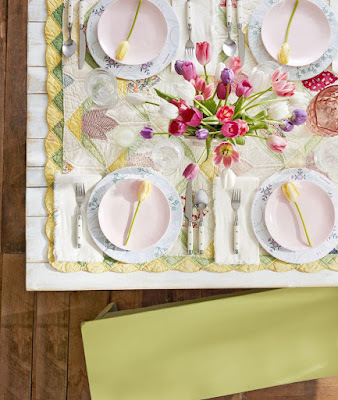 The oh-so-easy decorations made of paper, ribbon, and small flags are sure to make your festivities sparkle. 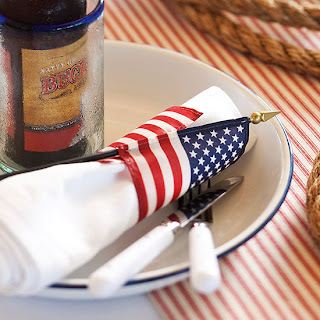 For a unique 4th of July centerpiece, spray-paint matching antique or thrift store finds with metallic red, white, or blue paint. When paired with American flags and color-coordinated flowers, you'll have a whole table setting ready in no time! Paper rockets blast off from a shiny sand-filled bucket in this fun 4th of July decoration. 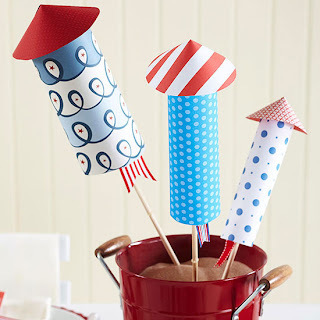 To make each rocket, roll scrapbooking paper into a tube and secure with glue. For the nose cone, cut a slit to the center of a paper circle; overlap ends and adhere together using gule. Glue a ribbon strip inside the rocket to resemble a fuse, and glue a long dowel inside the tube to support rocket. 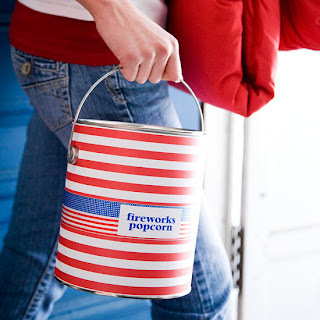 One incredibly simple way to add a little 4th of July spirit? 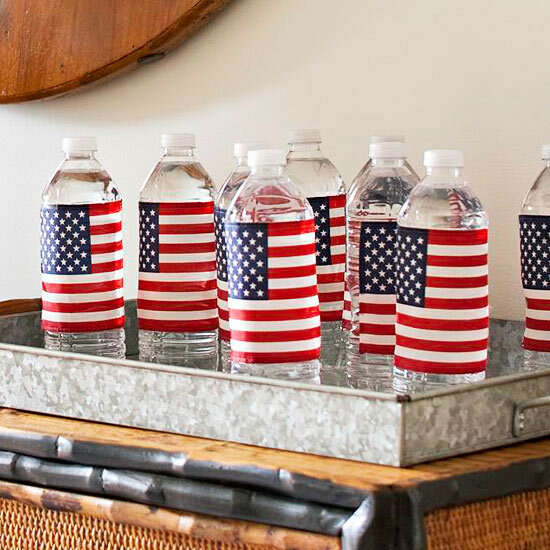 Wrap small flags around water bottles. Cheap plastic or fabric flags work best -- paper flags would wither as the water condenses. Make a festive container for carting treats to the fireworks display. 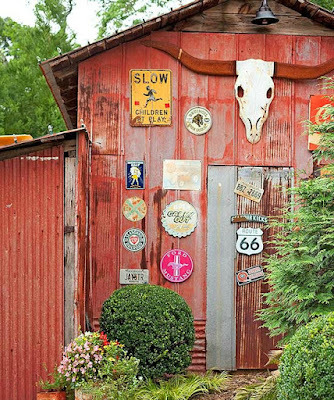 Buy unused paint cans (available at hardware stores). Cover each can with red, white, or blue scrapbooking paper, and supply the kids with stickers and markers to personalize their cans. 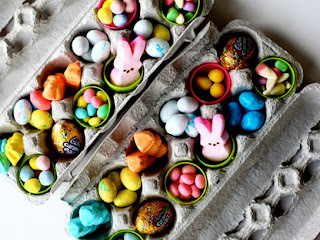 Line the inside of the can with a large baggie before filling with snacks. 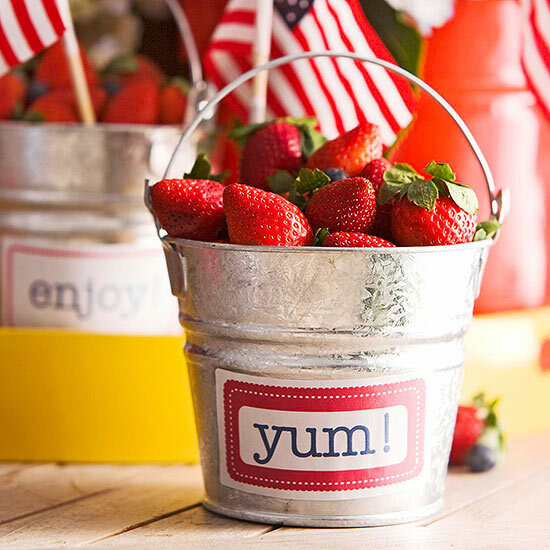 Get your red, white, and blue on at the dinner table this year -- even plain buckets can get dressed up for the 4th of July! Use sticker labels or make your own labels with fun sayings like "Yum!" 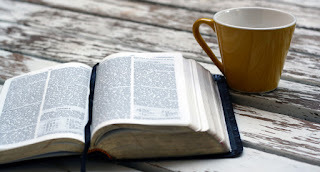 or "Enjoy!" Attach a label to the front of each bucket. 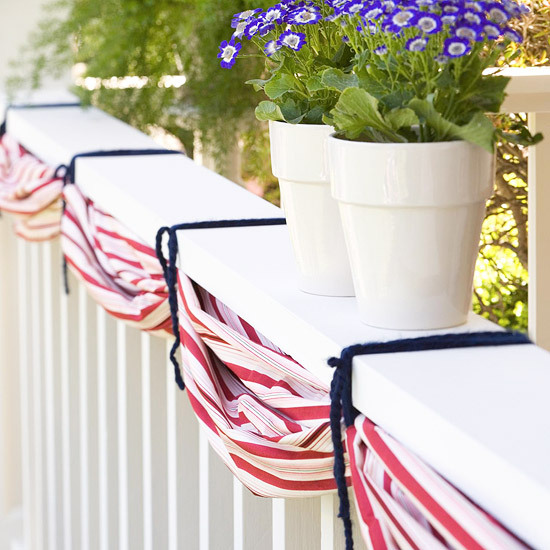 Add bunting to your porch to welcome guests this 4th of July. Buy several yards of patriotic-pattern fabric (determine length based on where the bunting will hang). 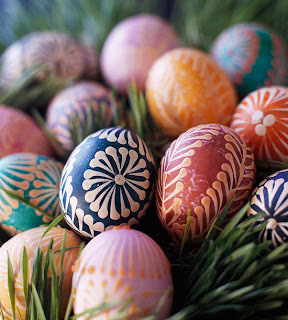 Starting at one end, gather the fabric about every 24 inches and secure the gathers using red, white, or blue yarn. Use the same color of yarn to attach the bunting to a porch rail.